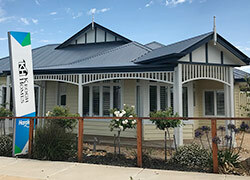 Keogh Homes commenced operations over 35 years ago and are now custom builders who build about 40-45 homes per year so the client has a personal relationship with their builder. They also offer a free design service to the potential home builder. The floor plan sketches are designed to meet the clients specific needs and requirements, and are in line with Keogh’s detailed building specifications, the 6 star energy rating, block of land, and, of course, budget. Keogh Homes operates mainly in the western and northern suburbs, Geelong (and Bellarine Peninsula) also Bacchus Marsh and some southern suburbs. We have many designs and completed homes which will allow our clients to view the quality and excellence of a Keogh Home.